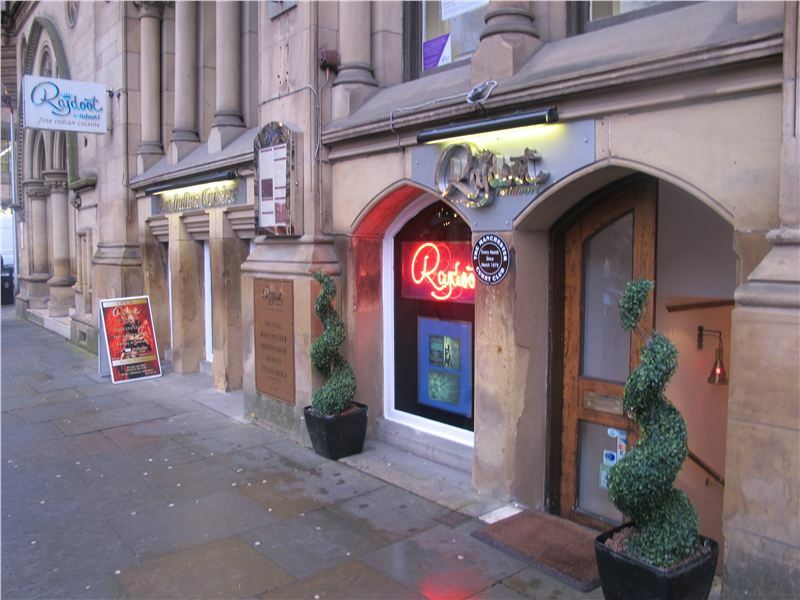 The history of the first Indian Restaurant in Manchester begins with the first Indian Restaurant in the UK. The first appearance of curry on a menu was at the Norris Street Coffee House, Haymarket, London in 1773. By 1784 curry and rice had become house specialities in some fashionable restaurants in London’s Piccadilly. The ‘Mistress of Norris Street Coffee House, Haymarket’, declared in Public Advertiser on 6 December 1773, that she not only sold “true Indian curey paste” but would “at the shortest notice [send] ready dressed curey and rice, also India pilaws, to any part of the town.” This must have been the first Indian home delivery service. So coffee houses and taverns had already been serving curries alongside their normal menus, a few since as early as the 18th century. Additionally, the British who’d been enjoying spicy food in 19th century India attempted to recreate the dishes in their own homes when they returned. 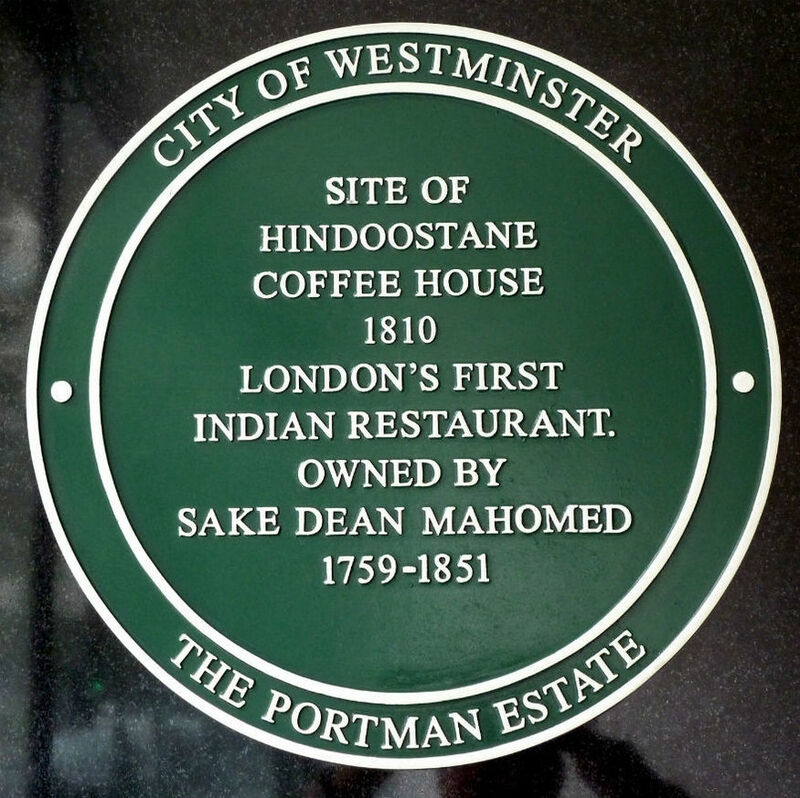 The earliest record of an Indian Restaurant in the UK dates back to 1810 when Sake Dean Mahmed opened the ‘Hindoostane Coffee House’. A plaque is applied to the wall at 102 George Street between Gloucester Place and Baker Street. The menu and the types of food on offer can’t be found, however an advert appeared in the Times 27th March 1911. 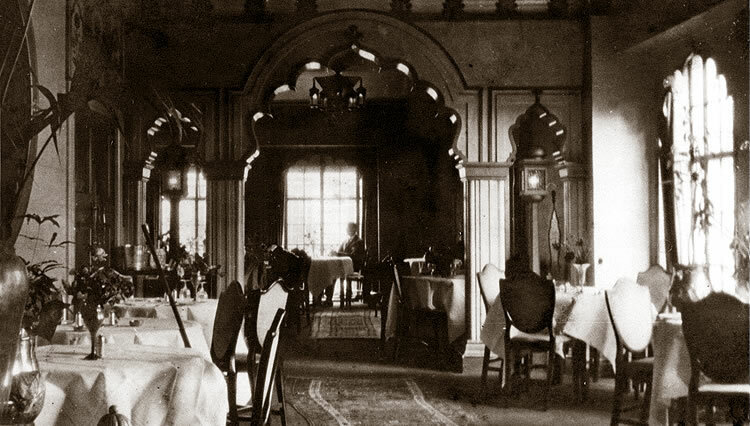 A few Indian restaurants opened to satisfy indian diners ‘Salut e Hind’ was the first to open in Holborn in 1911. Followed shortly afterwards by ‘The Kohinoor’ in Roper Street, and ‘Curry Café’ in Commercial Street in the 1920s. 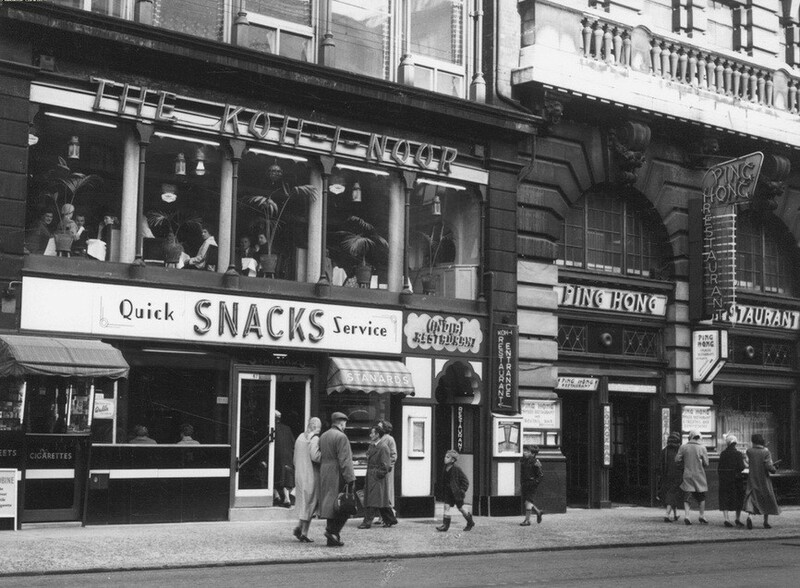 The most successful and influential was ‘The Shafi’ in Gerard Street, which opened in 1920. But still no Indian Restaurant in Manchester. However, when Edward Palmer opened the very first commercial Indian Restaurant in the UK in 1927 he revolutionised the Indian Dining Scene. He made it fashionable for everyone to eat Indian Food. The restaurant was named ‘The Veeraswamy‘ just off Regent Street in London, the restaurant is still thriving today. Other restaurants followed shortly afterwards. Sordar & Shomsor Bahadur moved to the UK from Delhi to join their brother Bir Bahadur who had opened the Kohinoor on Roper Street in London. The brothers were a big influence to the industry and opened The Taj Mahal in Brighton. Shortly afterwards the Taj Mahal in Oxford and Taj Mahal in Northampton. 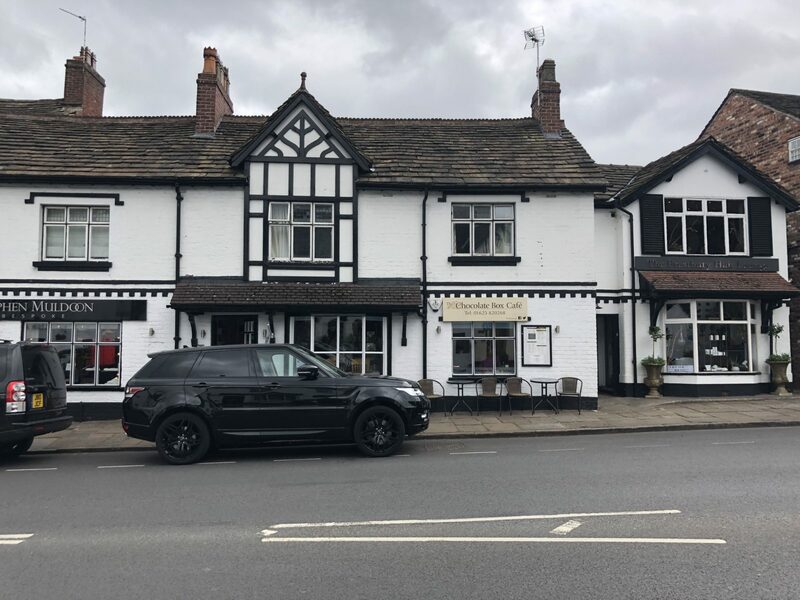 Shortly afterwards the Kohinoor in Cambridge & the very first Indian Restaurant in Manchester, the Kohinoor on Oxford Road. These all arrived before the breakout of the Second World War. Staffed mostly by ex-seamen. The Everest, The Monzil & The Orient Restaurants opened shortly afterwards with the Rajdoot in Albert Square opening its doors in 1966. 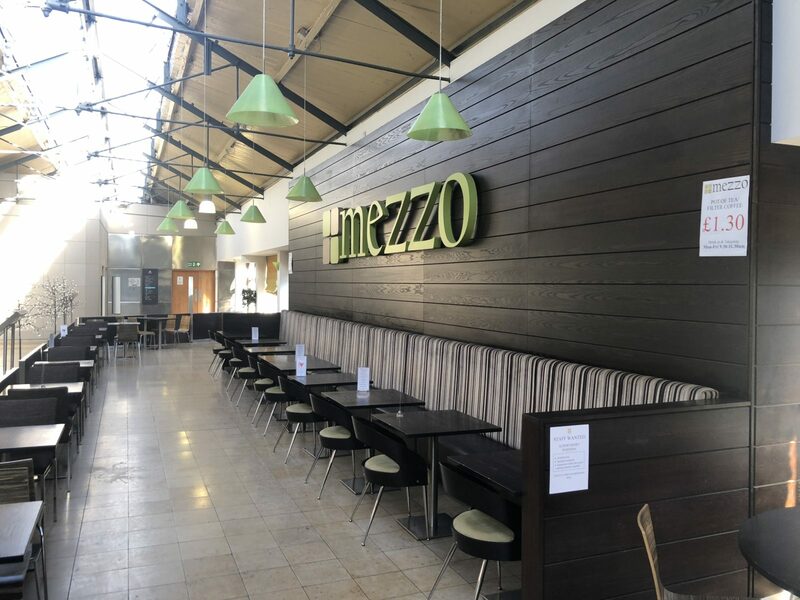 In 1960 there were approximately 500 Indian restaurants throughout the UK and by 1970 there were 1,200 restaurants in Britain. Until 1971 three quarters of all Indian Restaurants were not Indian owned but owned by Pakistanis. After Bangladesh Independence in 1971 numbers grew rapidly to 3000 in 1980. 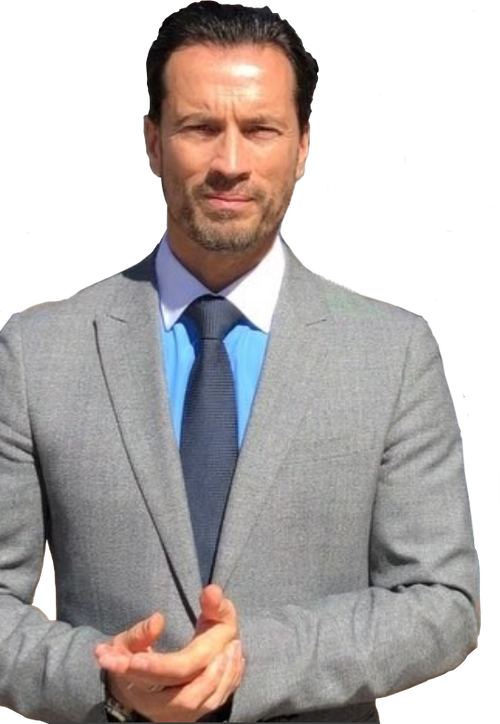 Today there are over 8,000 Indian restaurants in Britain with a turnover over £2 billion per annum and employing some 70,000 people. Indian dining has becoming one of the major industries in the country. 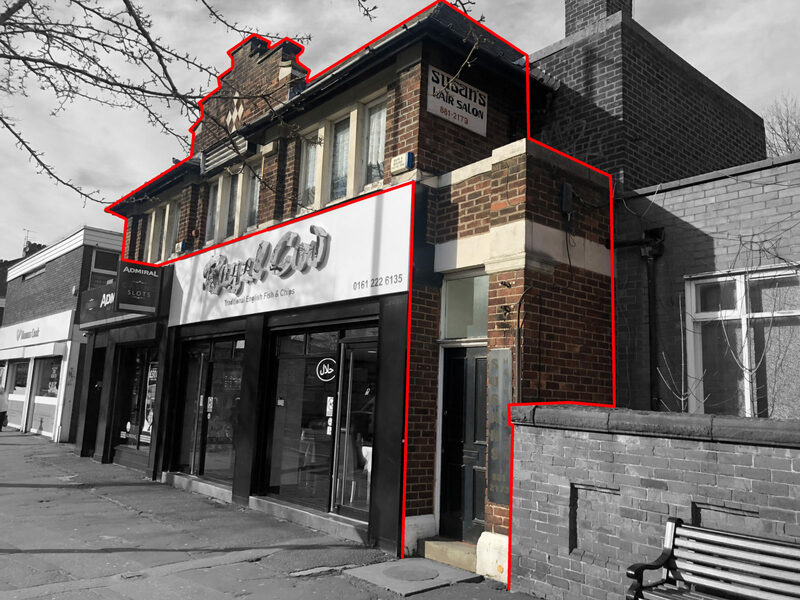 Some of our older sales dating back to the 1980’s include ‘Mr Ali’s’ in Crumpsall, ‘The Himalaya’ in Sale, ‘The Manzil’ in Salford. 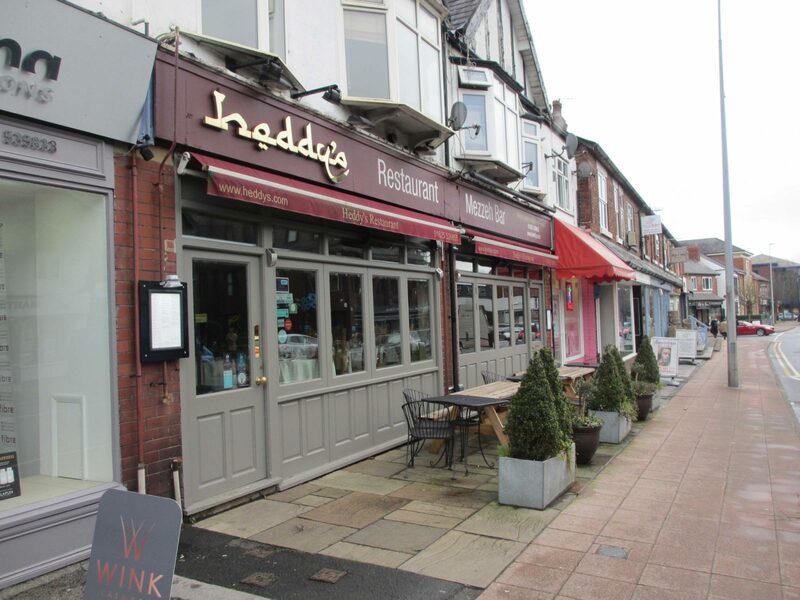 Since then we have sold 100’s of Indian restaurants throughout the region.